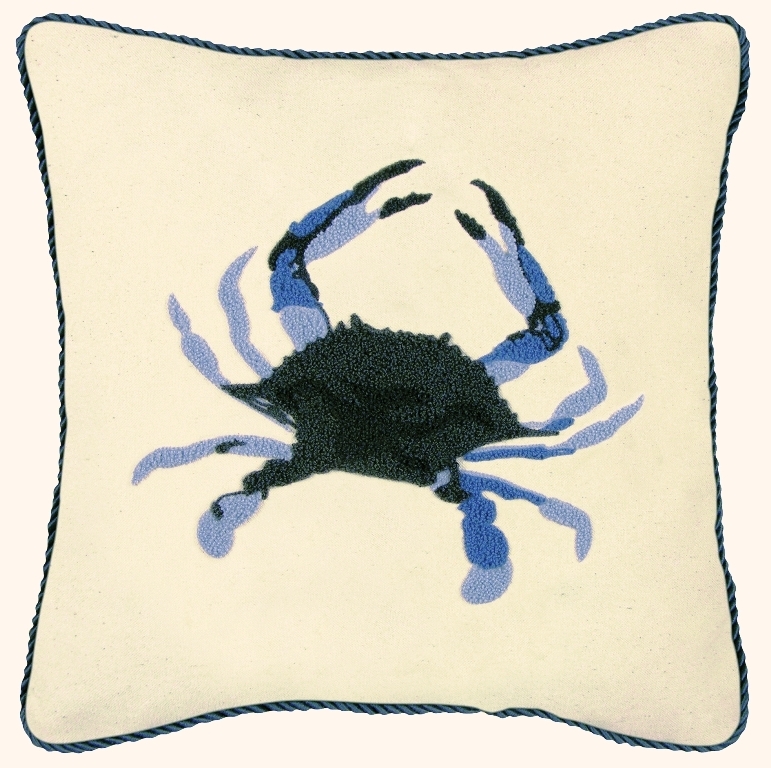 A wonderful addition to a beach retreat, this nice sized Maryland Blue Crab hooked pillow will surely become a favorite. The blue crab is crafted of light blue and navy (raised) plush hooked wool on a natural-colored canvas background, and finished with a navy rope corded edge. 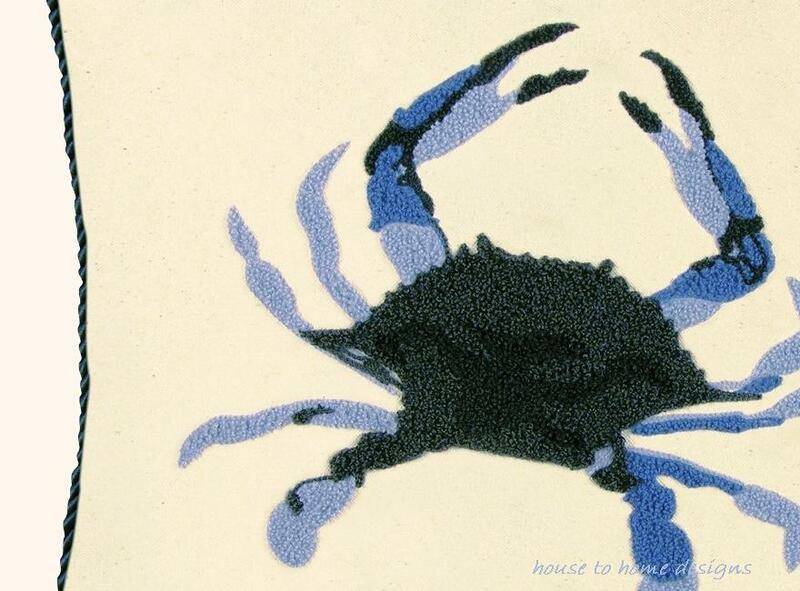 Makes a great gift for the crab lover at heart!